TheLEADERAccording to international organizations, the Comprehensive and Progressive Agreement for Trans-Pacific Partnership (CPTPP) would bring huge economic benefits to Vietnam. Labour intensive Industries like garments and textiles and leather footwear will still benefit. According to the report “Economic and Distribution impacts of Comprehensive and Progressive Agreement for Trans-Pacific Partnership: The case of Vietnam” conducted by the World Bank (WB), CPTPP is expected to further boost Vietnam’s investment and export-driven growth model. This report shows that by 2030, under conservative assumptions Vietnamese GDP is estimated to be 1.1 per cent higher, compared with 3.6 per cent higher under TPP-12. Assuming a modest boost to productivity, the estimated increase of GDP would amount to 3.5 percent from CPTPP, compared with 6,6 per cent higher under TPP-12. 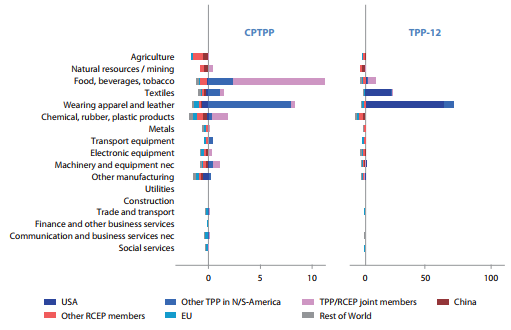 For CPTPP, the largest growth in output is estimated to be in food, beverages and tobacco; clothing and leather; textiles; along with more modest growth in several manufacturing sub-sectors, as well as services. 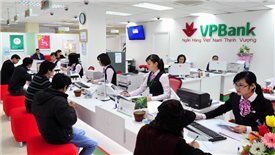 Having the same opinion, HSBC Bank (Vietnam)’s general director Pham Hong Hai said that with the US not present in the CPTPP, Vietnam’s benefits may be less than the TPP, for example, GDP will only move up 1.32 per cent instead of 6.7 per cent, exports will increase by four per cent instead of 15 per cent. Despite being assessed to offer less increase capability in output and export, CPTPP would lead to a higher level of diversification in exports. Accordingly, under CPTPP, exports are projected to grow by 4.2 per cent, and imports by 5.3 per cent; with larger increases of 6.9 per cent and 7.6 per cent respectively assuming productivity gains. Export growth is expected to be strongest in food, beverages and tobacco; clothing and leather; chemical, leather and plastic products; transport equipment; and machinery and other equipment. Imports are expected to grow in all sectors. 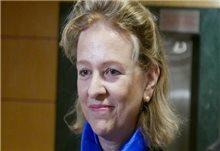 WB also pointed out that in the case of tariffs faced by Vietnam, under CPTPP average trade-weighted tariffs faced by Vietnamese exporters to CPTPP markets will fall from 1.7 per cent to 0.2 per cent. In particular, CPTPP rules-of origin may encourage investments in upstream industries and make exports less dependent on imported materials but more on domestic supply chains. This response, in turn, will boost domestic value added in exports, stimulate domestic private firms to integrate more proactively into global value chains and therefore promote the SME sector development, according to WB. World Bank also forecasts that CPTPP is projected to reduce poverty by 0.6 million in poverty line US$5.50 a day relative to baseline conditions in 2030. Although all income groups are expected to benefit, the benefits will be higher for higher-skilled workers in the top 60 per cent of the income distribution. This underlines the importance of investments in human capital for benefiting fully from the agreement. Besides, World Bank Lead Economist for Vietnam Sebastian Eckardt said that delivering commitments under the CPTPP will contribute in promoting transparency and supporting the creation of modern institutions in Vietnam. “The new agreement will bring direct benefits to Vietnam, from trade liberalization and improved market access. Most importantly, it will help stimulate and accelerate domestic reforms in many areas”, said Sebastian Eckardt. These areas include competition, services (including financial services, telecommunications, and temporary entry of service providers), customs, e-commerce, environment, government procurement, intellectual property, investment, labor standards, legal issues, market access for goods, rules of origin, non-tariff measures, trade remedies etc. 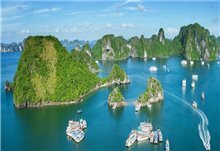 According to the new data from HSBC’s comprehensive survey of global businesses, the majority of 63 per cent of businesses in Vietnam believe CPTPP signed will have a positive impact on their business. Only two per cent of them say that CPTPP would have negative impacts and 35 per cent of them say that the agreement does not have any influence on their business. “CPTPP is a big, ambitious deal for Vietnam. It will matter hugely for future growth, jobs and living standards. Now is the time for both firms and government to focus on implementing today’s agreement to achieve its full potential. It’s encouraging that many businesses are already expecting to see benefits”, said Winfield Wong, Country Head of Wholesale Banking, HSBC Vietnam. Meanwhile, in addition to the welfare gains simulated by our model, World Bank expects that the CPTPP is likely to bring about increase in Foreign Direct Investment (FDI), lead to further expansion of services sectors and boost productivity gains. 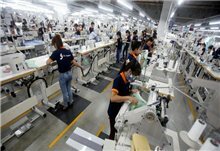 Increased FDI in upstream industries, especially in the textile sector, however, entails environmental risks and Vietnam needs to have appropriate policies and regulations to encourage environmentally friendly technology and FDI. World Bank says that to reap the full benefits of further trade integration, implementation of CPTPP commitments should be accompanied by further steps to enhance competitiveness and trade facilitation, behind-the-border issues matter. The challenges involve continued improvement in connectivity to enable integration into global value chains and keep trade costs low. Domestic private and foreign-invested firms that participate in GVCs need to be able to move goods across borders cost-effectively and reliably. This requires both good physical and institutional infrastructure. Recent research outcomes show that most of the high compliance costs relate to non-tariff barriers. 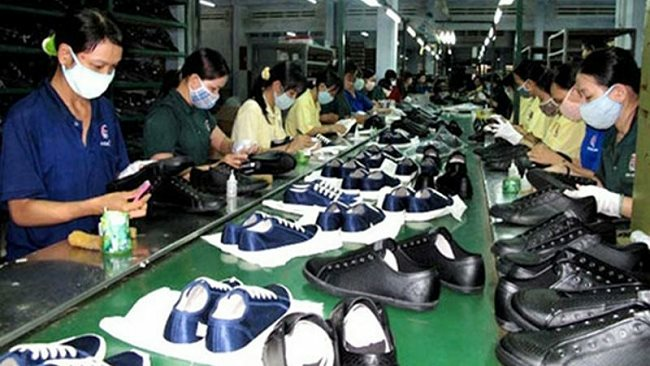 Despite the recent progress in customs reform and the implementation of the National and ASEAN Single Window, the compliance costs in terms of time and money for goods clearance before and on border remain high in Vietnam. According to World Bank, addressing this critical bottleneck will help deliver the commitments not only under the CPTPP but also the WTO’s Trade Facilitation Agreement. 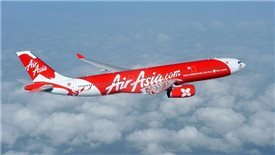 The Malaysian budget airline's attempt to launch a low-cost carrier in Vietnam has fallen. 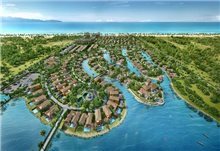 The 250,000 clientel along with tens of reputable strategic partners lays a solid foundation for Novaland to intensify investment in tourism real estate. Multi-business giant Vingroup has announced the establishment of Research Institute for Artificial Intelligence, which will be led by a former Google specialist. 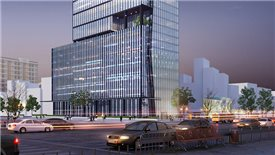 Hoa Binh Construction Group has unveiled an ambitious plan to turn itself into an international building contractor. 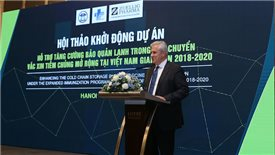 Zuellig Pharma today announced a $600,000 support for a project to expand access to vaccines in Vietnam, particularly in remote areas. 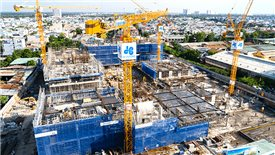 Vietnamese industrial and civil contractor Hoa Binh Construction Group will issue 25 million shares to Hyundai Elevator. After a year of breakthrough, Vietnam’s commercial banks have become more cautious, setting lower profit targets this year. 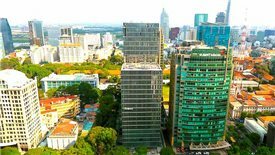 Savills Vietnam has been officially appointed the property manager of Leadvisors Tower, a Japanese grade A office building developed by LeadvisorSanei Hospitality Holdings. 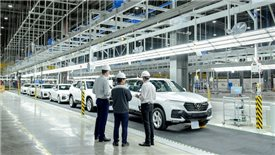 The automobile manufacturing factory of VinFast in Haiphong would be put into operation three months earlier than its initial schedule.